The aging process is the enemy of all professional athletes. But when it comes to the Sweet Science, Father Time can be a particularly cruel foe. 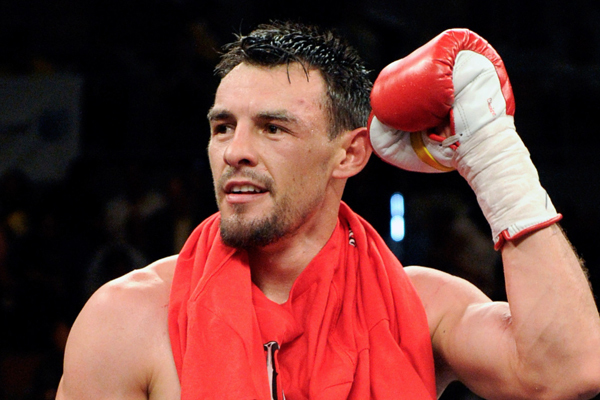 Just over four years ago, Robert Guerrero faced Floyd Mayweather in one of the 2013’s biggest fights. He was a solid technical fighter who could brawl with the best of him. His November 2012 unanimous decision over Andre Berto was an all-action war, one of the best fights of that year. His June 2014 decision over Yoshihiro Kamegai was another Fight of the Year candidate. Guerrero was thoroughly out-classed by Mayweather, of course. But that hardly put him in bad company. Within the past two years, there was still a solid case for him as a top-10 fighter at welterweight. But since the war with Kamegai, Guerrero has become a shell of himself. He fought gamely but lost every round against Keith Thurman in March 2015. He was decisively defeated by Danny Garcia in January 2016. Those were losses to top-tier, younger contenders, though. The alarming thing about Guerrero’s trajectory were his performances against lower-level opponents. He needed generous score cards to escape with a split-decision against Aaron Martinez in June 2015. In his last fight, in August of last year, he dropped a split decision to the obscure David Peralta, a literal cab driver from Argentina. Saturday night in Long Island, Guerrero faced a very good contender in Omar Figueroa, a former belt holder at lightweight. It was Figueroa first fight in nearly 20 months. Facing an opponent coming off from a long layoff and moving up in weight would have made for significant advantages for Guerrero in previous years. Instead, Figueroa brutalized him, dropping him five times before the bout was halted in Round 3. It was his fifth loss in his last seven fights. Guerrero had to be taken immediately to the hospital, for medical treatment. Boxing fans should pray for his quick recovery. Guerrero has given his heart and blood to this sport, entertaining and inspiring crowds. But I will also pray that he never steps into a competitive ring again.